I started yesterday with some good prayer, and the night before, I studied some uplifting passages in the Scriptures. However, it was a typical Monday for me once I got to work: I was unable to fully wake up, and my students gave me an especially hard time because I handed back the final drafts of their essays which never seems to go well. I tell you, college students will argue ’til the cows come home in order to get me or my colleagues to reconsider their grades (I usually don’t). In typical fashion, my focus was no longer on God but on my workday and on everything that needed to be done. By the time I got to my car in the evening, I was feeling pretty guilty about pushing Jesus aside the whole day. It really pained my heart. I needed to get my focus back and put the day’s events (and failures) behind me. I have iRosary which is an app for my iPhone. I used to use it in order to learn the structure of the rosary and the prayers. Now, however, I seem to use it only to find out what the mysteries are for a certain day. So I was instantly comforted to know that yesterday was the day for the Joyful Mysteries. God always knows what I need! I have written some thoughts that I had during my praying of the rosary yesterday. I hope you are able to find some encouragement from them. 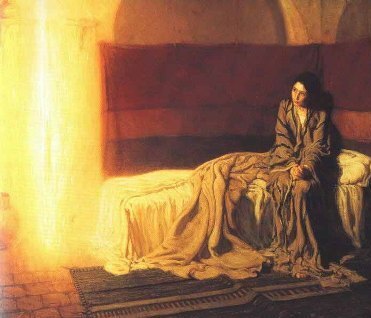 The angel Gabriel announced to Mary that she would conceive by the power of the Holy Spirit. The Lord may not be sending angels to let you know that change is coming, but He works in ways which we may not realize. Because of His grace, God enabled me to reach out to Him in distress; he answered me by moving within my heart and assuring me that He blesses a humble spirit. God doesn’t want many eloquent words; He works best with a humble and contrite spirit. You don’t have to be a canonized saint or the Mother of God for Him to speak to you. Just start with prayer and ask Him to help you and show you the way to His Son. Gabriel visited Mary, and then Mary visited her cousin Elizabeth who was pregnant with John, the one who would baptize Jesus at the beginning of His ministry. It’s been said that Mary was the first missionary, bringing Jesus to her cousin. 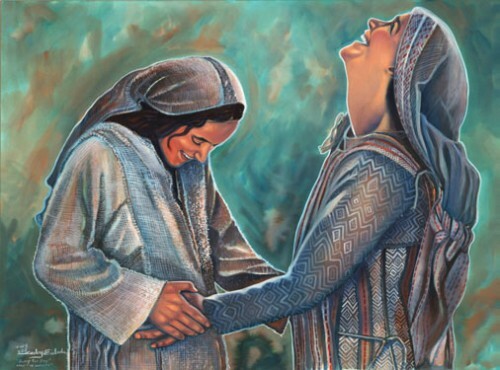 The Scriptures say that the baby in Elizabeth’s womb leaped with joy when Mary greeted her. The fruit of the Spirit, love of neighbor, spoke to me the most regarding this mystery. I had just finished a stressful day with students and colleagues, and praying for and loving them were the furthest from my mind; another example of how God urges us and helps us! Everyone knows about the nativity; we see it every December. As a result, when I pray this mystery, I try to meditate on something that isn’t ingrained in me like images of warm-and-fuzzy manger scenes on Christmas cards. I once heard an Evangelical preacher on the radio say that he wanted to design a Christmas card image that reflected his own perspective on the nativity: a disturbing image of Mary on the ground drenched in blood, screaming in agony while giving birth. The purpose of the preacher’s controversial idea, which may or may not have come to fruition, was to “tell it like it was” and shake people up. Although I’d rather not go to that extreme, I focused on poverty while meditating on this mystery and how God loved me so much that He allowed His Son to be born into a poor family. 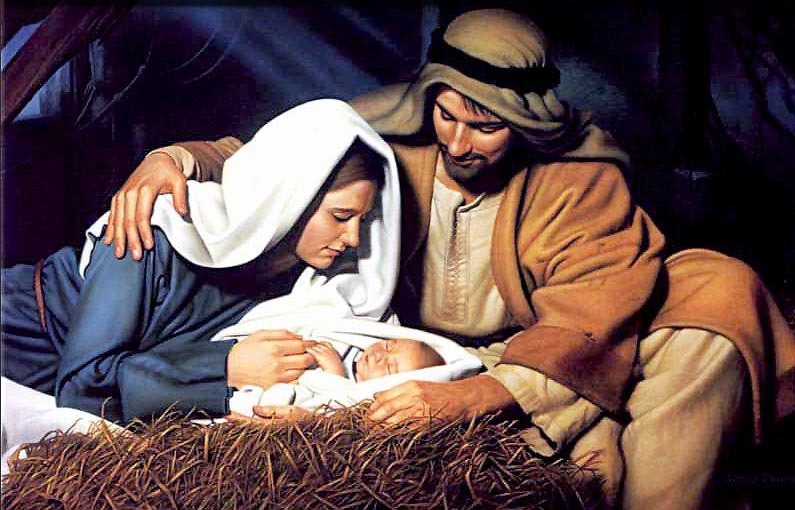 That little baby in a Bethlehem stable would definitely shake people up one day. This particular mystery was a breath of fresh air for me yesterday. Our Heavenly Father wants our obedience because that is the only way He can help us. When we surrender to God and His will, we are like baby Jesus in the arms of Simeon, receiving a blessing in the Lord’s very own temple. It is quite an amazing image that brought tears to my eyes. You may feel that you are worthless and that nobody loves you. Maybe you’ve been told this so many times that you have started to believe it. 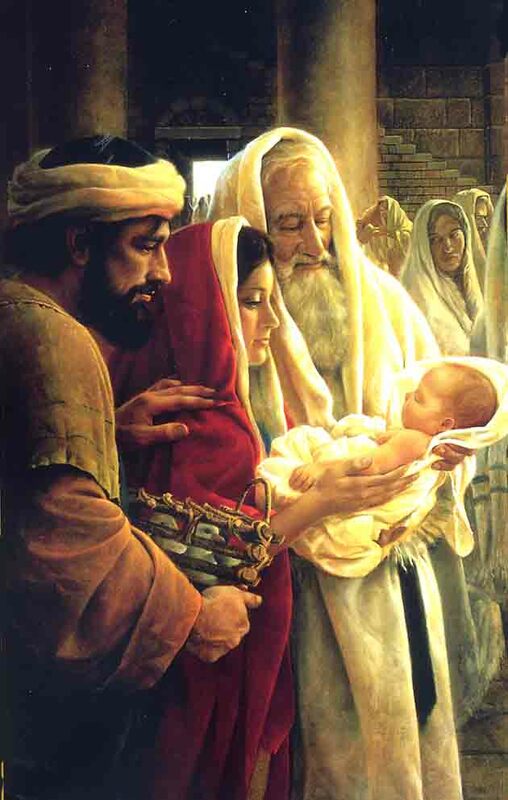 Take another look at the image above and see how proud Mary, Joseph, and Simeon the priest are. God and all of the angels and saints in heaven are just as proud of you. Do some studying and find out about God’s image of you. He created you, so believe Him instead of mean-spirited people in your life. 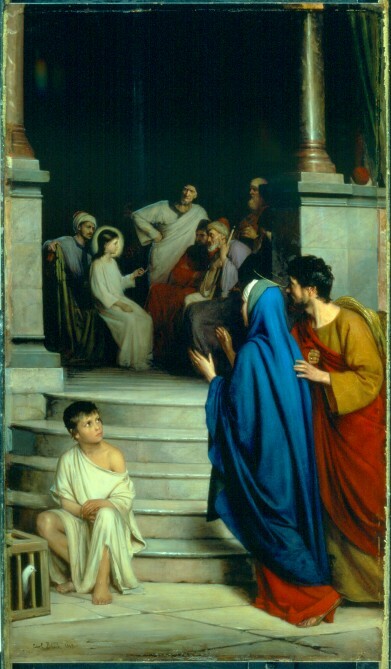 Joseph and Mary had been looking for their Son who they thought was in their group as they made their way back home. After three days of searching, His parents were filled with joy when they found Him. As a parent, I can imagine their joy and relief. Like any good mother, though, the first thing that Mary did was to admonish her Son for not keeping up with them. Despite what the fruit of the Spirit says, I saw this in the opposite way: I was lingering behind, doing my own thing, and my spiritual family, The Blessed Virgin Mary, Jesus Christ, and all the saints in heaven, celebrated and embraced me when I rejoined them. God is nothing like my earthly father: staring at me with a critical eye, waiting for me to mess up so he can hit and berate me. Glory be to Christ that I have a loving Father who longs for me to wallow out of my sin and come back each time I mess up. As I smiled and praised God for turning my sadness to joy yesterday, I thought of all the individuals in the world who have been hurt by religion or who don’t know the joy and love of the faith. I pray that others can find that bright pearl of Christ in their own lives.